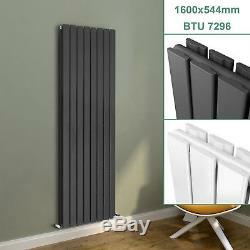 Flat Panel Tall Upright Vertical Designer Radiator Central Heating Rads. Tested to BS & EN442. Compatible for use on all UK heating systems. Contemporary style flat panel radiator. High quality triple layered finish. Specification -Size: 1600x544mm -Finish: Anthracite/White -BTU: 7296 Please be aware that BTU is for reference only, it depends on various elements such as flow temperature and indoor temperature. Sign up for our newsletter. Due to courier restrictions, some areas require a surcharge. We look forward to doing business with you. 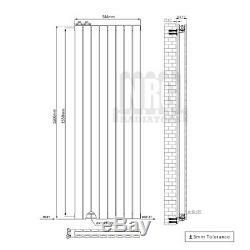 The item "Flat Panel Tall Upright Vertical Designer Radiator Central Heating Rads" is in sale since Tuesday, March 6, 2018.